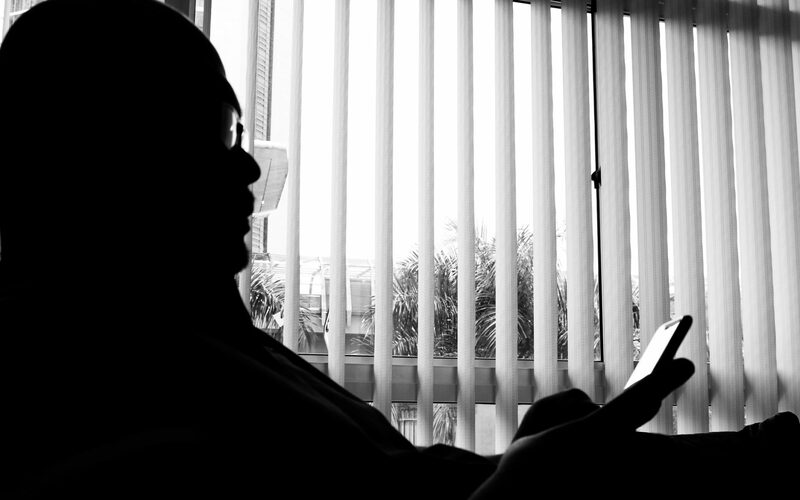 Every time election nears, you will see old issues being spun again just to show that the elections will be a dirty one – just so that when they lose again, the same reasons will be put forward to bait the monkeys that support them. 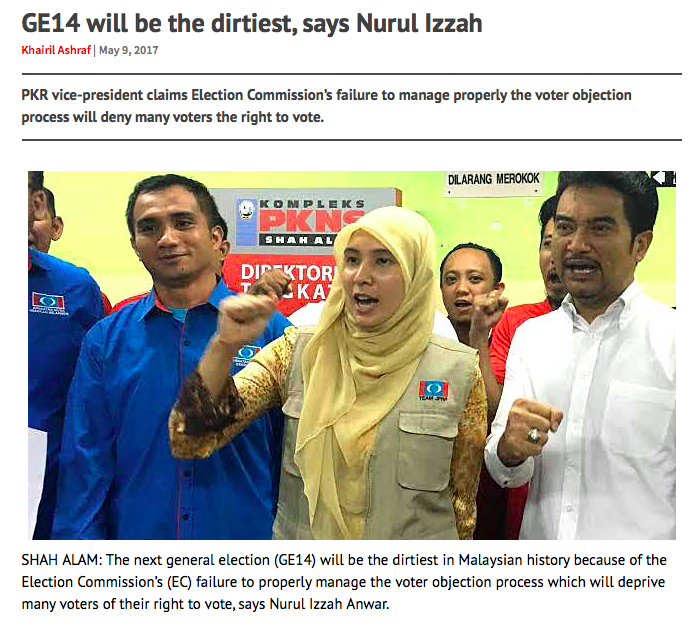 For GE14, Nurul Izzah has chosen to slander the Elections Commission. The last elections she chose to slander her opponent, Raja Nong Chik. 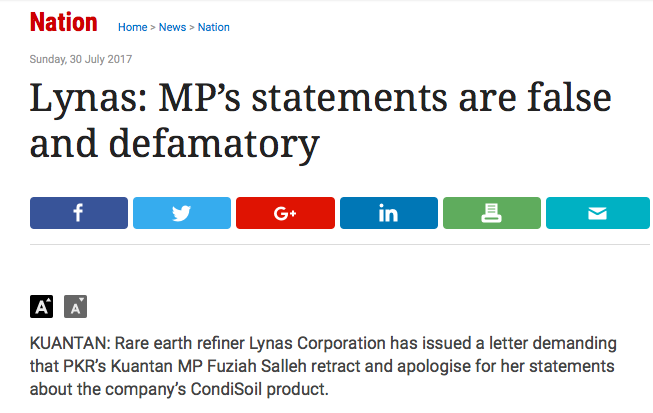 After a four-year hiatus, Kuantan MP Fuziah Salleh is back slandering LYNAS. The LYNAS issue went quiet almost immediately after the last general elections. Expect more demonstrations in the run-up to the next elections. Hey! After four years I am hearing the name LYNAS again! But it is nothing new. Emperor Lim Kit Siang, the de facto leader of Pakatan said that the previous general elections would be the dirtiest in history. 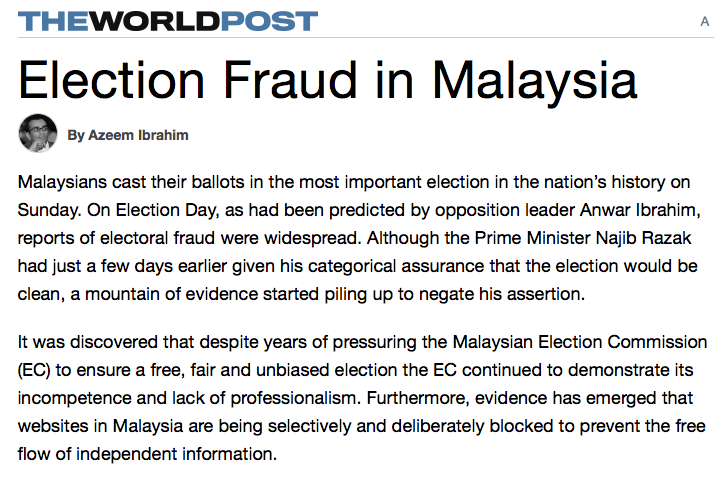 Anwar Ibrahim even went to town to claim that 40,000 foreigners, emphasising on Bangladeshis, voted in the last general elections. Even Anwar Ibrahim’s good friend from abroad, Azeem Ibrahim, whose homeland was split into three in 1947 into India, Pakistan and Bangladesh, joined in the circus to show his support for Anwar the Schizo. Don’t get me started on how they claimed that during the vote counting process, some vote counting centres experienced “blackouts” that resulted in “the victory of the Barisan Nasional.” And like monkeys getting excited at the sight of a plastic banana, the Pakatan supporters converged onto the Kelana Jaya stadium for the ‘Blackout 505’ gathering to hear more lies by Anwar Ibrahim alleging that Bangladeshi, Indonesians and Filipino voters helped Barisan Nasional win. 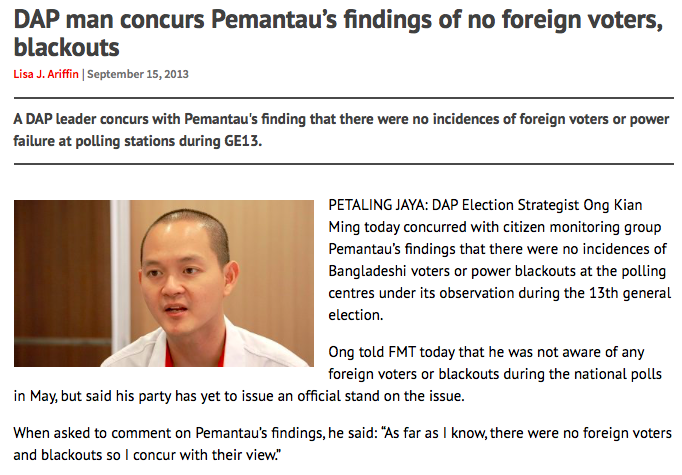 However, four months later DAP’s Ong Kian Ming agreed with electiosn watchdog PEMANTAU that no blackout ever occured and there was no evidence whatsoever of any foreign voters tampering with the elections process. 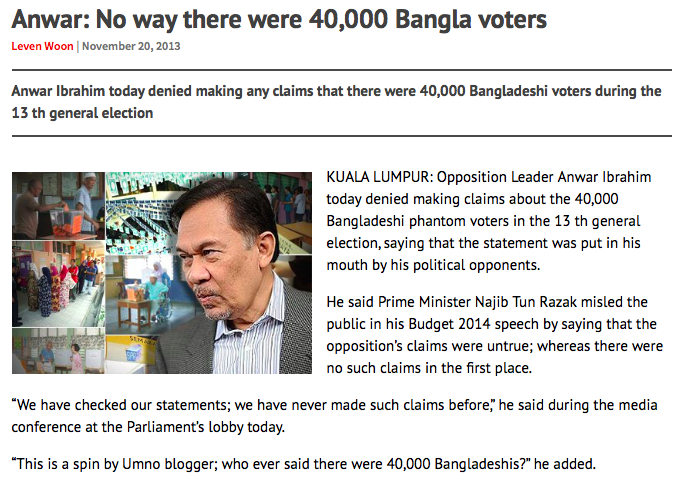 And in an about turn, master liar Anwar said he never made claims that there were 40,000 Bangladeshis who voted during GE13. 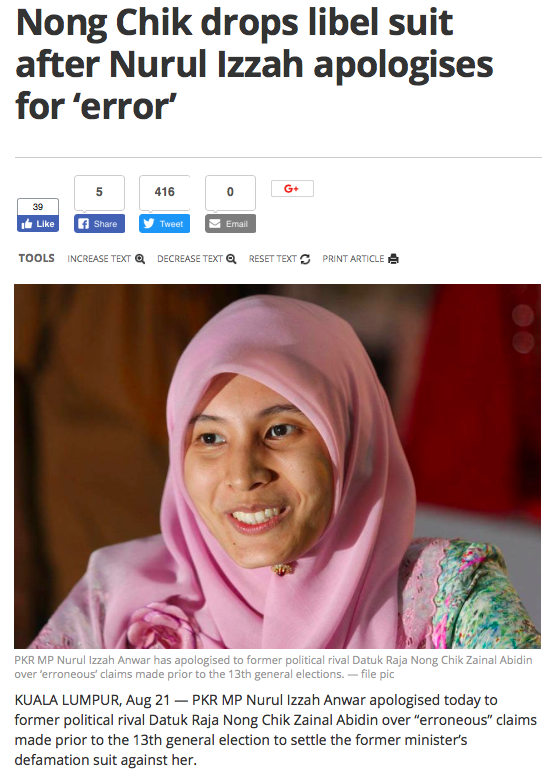 And Nurul Izzah who went on a smear campaign against her opponent Raja Nong Chik which led to her victory against the very popular man decided to settle the case out of court and issued an apology to Raja Nong Chik. Pakatan is trapped in its own doings. You have a “son of” who disguised himself as a Malay and now is disguising himself as a Pribumi; you have a puppet President of a party who is Malay first but instead of getting a Cina to masuk Melayu, he masuk Cina. You have the Secretary-General of a party who claims to have 10 steps to eradicate corruption but he himself was charged in court for corruption; You have a party President who admits to be just a seat-warmer for her jailed husband, wasting taxpayers’ money and voters’ time every time a by-election has to be held so her husband could contest to become a Member of Parliament. And among themselves, they cannot agree on who is to lead the coalition. Their solution to that is to desigate three appointments which, in the real sense, has no difference whatsoever other than the spelling and how the are pronounced. 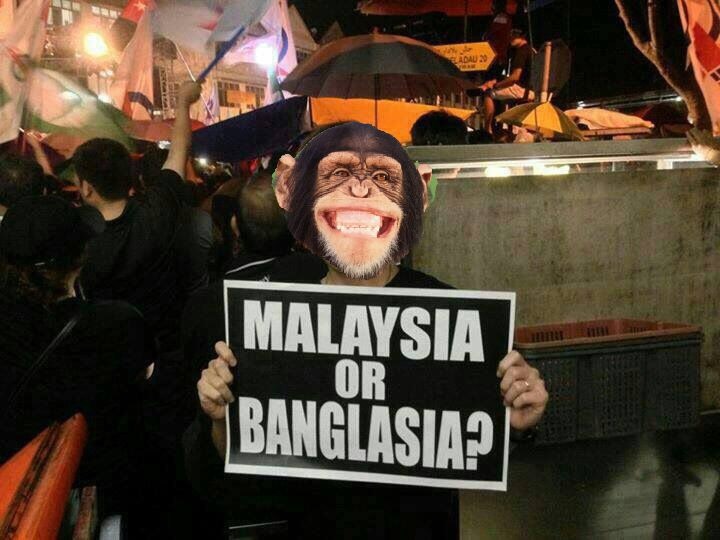 So, the reason GE14 will be another “dirtiest elections in the history of Malaysia” is simply because the monkeys in Pakatan will spew lie after lie to justify their existence, to gain sympathy, and to collect “donation” from monkeys who are stupid enough to part with their money after listening to lies disguised as “issues” that will eventually go quiet after the election is done, only to be brought back to the surface at GE15. 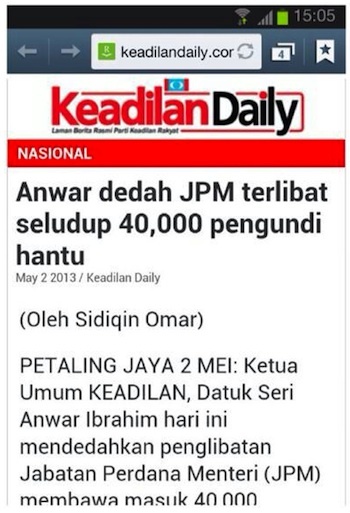 And these are the people who want to save Malaysia…hopefully from them. Many may have wised up to their antics. But there will always be those who will remain as monkeys.